With Canada’s extreme changes in weather, you should be changing out your tires once or twice a year for safe driving. Summer tires, all weather tires and winter tires are designed differently to optimize your safety in varying conditions. The treads on winter tires are specifically built for stable driving on icy roads, while summer tires perform their best on dry or wet roads. Changing out your tires throughout the year even extends their lives by lessening the tread wear. Ideally, you should switch your summer tires out to winter tires when the average temperature drops to around 40 degrees Fahrenheit. Typically, they stay on from around November to early-April. When the average temperature rises to above 50 degrees Fahrenheit and the low temperatures stay consistently above freezing, you can remove your winter tires and replace them with your summer tires. When switching out your tires for new ones, you should always be replacing at least two, if not all four at once. This ensures that all four of your tires are evenly worn and properly rotated. If you own a front-wheel or rear-wheel drive car, it is acceptable to just replace the two wheels that are doing most of the work since they will be more worn out. However, if you own an all-wheel drive vehicle, then you should try to replace all four of your tires each time you switch them out. At Comox Valley Dodge, we always put our customers first. We have year-round discount tires to save you money, while making your rider safer on the roads. At any time of the year, you can purchase three tires and get the fourth free! 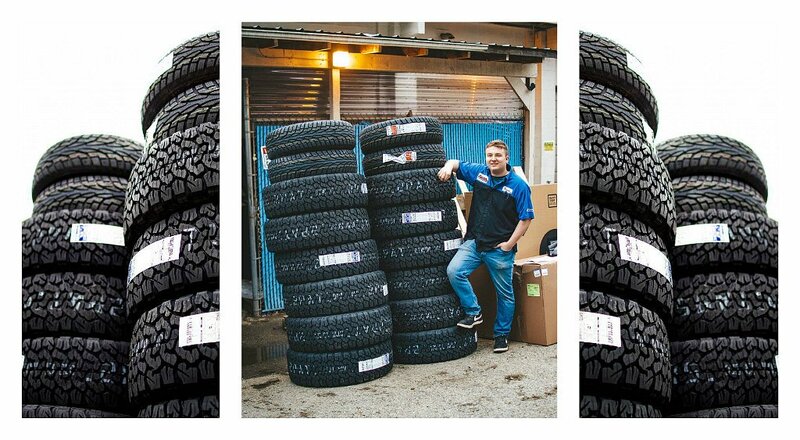 Our tire experts are here to help you find the tires you need! 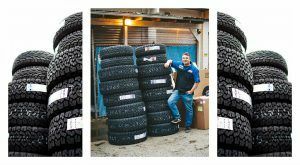 We carry a large inventory of tires from brands, such as: Goodyear Tires, Hankook Tires, Continental Tires, Michelin Tires, Firestone Tires, Bridgestone Tires, and more! Contact us today to get your tires in Comox and Courtenay! Contact us today to get your tires in Comox and Courtenay!